A passenger in a pickup truck suffered serious injuries when the driver of the truck lost control, causing the truck to travel nearly 300 feet in a grassy median. The crash occurred on U.S. 17 just north of the Sidney Lanier Bridge, according to Jacksonville.com. After the truck went into the median, it flipped for about 50 feet before winding up in the southbound lanes of U.S. 17. The 32-year-old passenger suffered serious injuries and is currently in the hospital receiving treatment, as of the date of this posting. A passenger injured in an automobile accident has the same right to pursue financial restitution for their harms and losses as the driver. In fact, passengers may have a somewhat easier claim to prove for receiving financial compensation because liability is generally not an issue for a passenger. When a driver is injured in an accident, there is the possibility that the defendant will try to claim that you contributed to causing the accident as a way to reduce or avoid liability. The injury claim process is effectively the same for an injured passenger as an injured driver. However, the situation can get somewhat uncomfortable because a passenger will likely need to file a claim against the auto insurance policy of the driver operating the vehicle the passenger was in at the time of the collision. But it is important to understand that you are pursuing financial restitution against the driver’s insurance policy and not the driver individually, in most cases. In most cases, the amount an injured driver or passenger can reasonably expect to recover will be determined by the amount of available automobile insurance coverage. In the best case scenario, the at-fault driver has liability coverage sufficient to properly compensate you for all of your harms and losses. In reality, the best case scenario may not always be available. If you find yourself with massive medical bills, lost wages, and other associated damages and the at-fault driver has insufficient insurance coverage, you need to check your own auto insurance policy to see if you have uninsured/underinsured motorist coverage. This is a fantastic form of supplemental coverage that can help provide an additional form of financial recovery. When a passenger is harmed in a preventable accident, they need to take legal action right away. Why? Because of the Georgia statute of limitations. 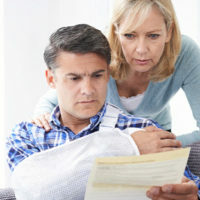 For a personal injury lawsuit, a claimant has two years from the date the accident to file a lawsuit in civil court. After the two year window has closed, so has your chance of obtaining a financial recovery from the accident. If you were a passenger seriously injured in an accident, contact Gillette Law, P.A. in Jacksonville or Brunswick today. We offer free, confidential case reviews and work on a contingency fee basis, which means you only pay a legal fee when your lawyer wins your case.